Usually 7-10 working days after artwork approval. Usually 10-15 Working days after artwork approval. Welcome to our Promotional Clothing Superstore! 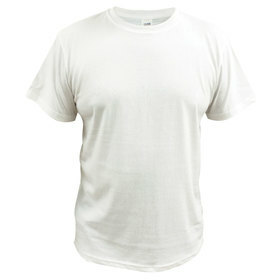 Embroidered Polo Shirts, Promotional T-Shirts and Corporate Clothing are the three main types of Clothing that we sell. 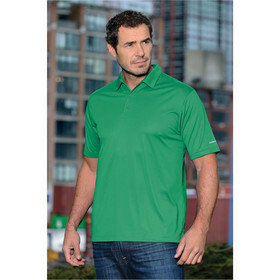 Corporate Clothing items like Promotional Polo Shirts are costed with a double size (10 000 stitch) embroider free of charge making them Australia's best value buying options. Our range of clothing is split between product categories that you see in the first ten boxes below: Polo, Tee and Business Shirts, Corporate Clothing, Sports and Work Wear, Jackets, Aprons, Kids and Custom Made Polo Shirts. Below these are leading brands that we supply. All of the clothing you see in the first ten categories are fully costed with embroidery or screenprinting: they are all great value! Call us on 1300 303 717 with your questions NOW! Promotional Clothing and Corporate Clothing is a great way to get your brand noticed and make staff look smart and professional. 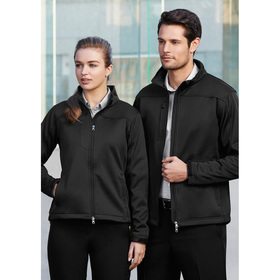 Promotion Products offers the Value Range of Corporate Wear which is, quite simply, the best value range of clothing in Australia. Without compromising quality we have selected a range of Embroidered Polo Shirts, Printed T - Shirts and Corporate Apparel that offers unbeatable value. We constantly monitor competitor pricing on similar products and have yet to find a range of Promotional Corporate Clothing or Wear that betters our quality and keen pricing. Simply look for the Value icon on product images. Our buying power ensures you low Corporate Apparel and Promotional Clothing costs, however what we offer in addition to this really sets us apart. Every cost you see on our website, be it for Promotional Polo Shirts embroidered with your logo or Printed T - Shirts includes set up costs, do not pay $75+GST set up elsewhere ~ we include this in our costs as standard!. Double size embroidery! ~ all of our Embroidered Polo Shirts and Business Shirts are costed with embroidery including a 10 000 stitch embroider as standard. Every other Corporate Clothing Company that we have looked at offers a small 5000 stitch embroider as standard, if your logo is bigger (and most are) they charge extra for this. We aim for transparency in every aspect of our business, we also recognise that your time is valuable and you want one all inclusive cost for Promotional Clothing and Apparel. Many of our clients want the best possible Corporate Apparel and Wear that money can buy. In recognition of this we have developed the Premium Range of Promotional Clothing. We draw stock from two design houses that offer unrivalled product quality and design in Embroidered Polo Shirts, Printed T Shirts and Embroidered Business Shirts. These garments are designed to let your corporate branding talk, your staff will love the garment quality and keep on wearing them ~ giving you years of promotion!. Simply look for the Premium icon to pick out these garments. Remember, Promotion Products costs include embroidery set up fee and double sized 10 000 stitch logo embroiders as standard on our entire Corporate Clothing range.